People suffer from heat exhaustion when exposed to hot environments for a longer duration, especially in conditions were work has to be done outdoor. XPOWER Misting fan is apt for such scenarios as it is designed for services involving distribution of air containing mist for effective cooling in unenclosed areas. The Mist fan is also effective for indoor cooling, when the refreshing effects of the mist is needed. The benefits of a Mist Fan over the air conditioners are primarily seen during summer seasons, especially as an outdoor and patio cooling system. Our fans are portable cooling fans to keep you cool with a refreshing fine mist of water wherever you go, from your backyard to your business. Summer season means fun outdoor activities. However, the immense heat can take a huge toll on your skin and mood. Most people even fall ill if they are exposed to too much heat. Therefore, outdoor cooling plays an important part in maintaining a safe environment during hot weather, and one of the best outdoor cooling solutions is a high quality misting fan. The misting fan can provide water vapor to a wide area, and is ideally placed near your pool, deck, or on a sports field. Misting fans will help you stay cool during summer so that you can enjoy a fun filled season. 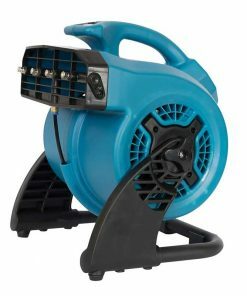 AirChaser.com offers the recent Commercial Misting fans of good quality, with effective outdoor cooling systems. Various outdoor mist products with excellent outdoor cooling system, ranging from the portable outdoor mist types to the continuous supply outdoor mist type is available at affordable cost upon order. This will provide optimal benefits of the mist fan for your convenience and comfort. Set up the misting fan in gardens and greenhouses to keep plants healthy in hard weather.